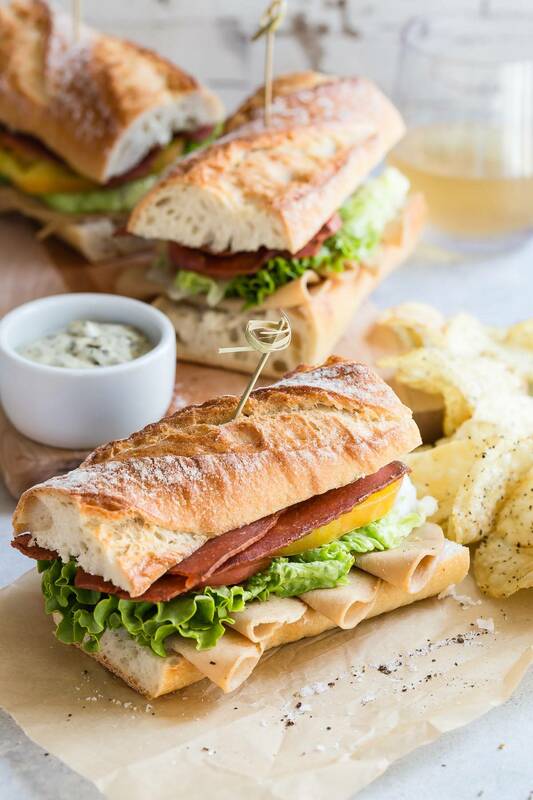 Who doesn’t love a good club sandwich? Check out this vegetarian version with Lightlife Smart Deli Meat and Bacon! 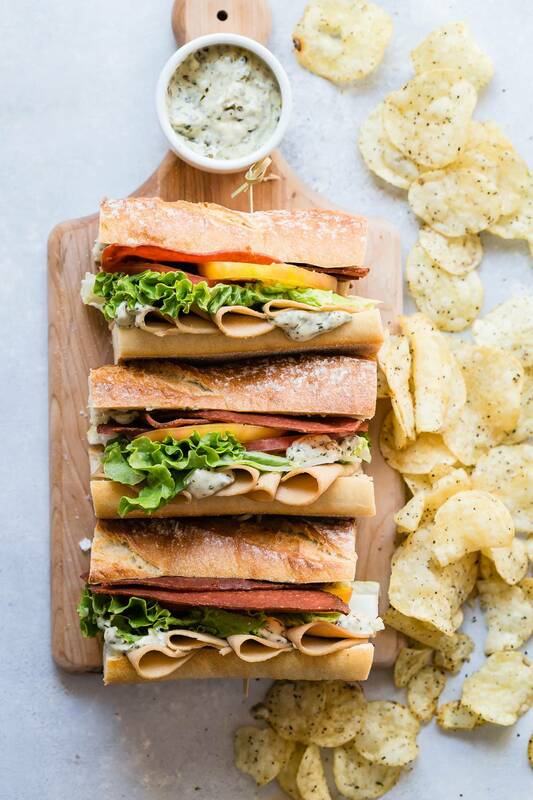 I’m a total sandwich guy, whats not to like about having a bunch of your favorite things stuffed between two slices of bread and a side of chips? And the club sandwich is a hot favorite of mine! When I build a sandwich though, it’s almost like I’m being an architect which sounds weird, I get that. But I like to start with the bread and make sure the foundation is solid and then layer everything else in a way that the sandwich won’t fall apart when I take my first bite. I have my favorites like anybody else and the Club Sandwich is one of them. Usually made with turkey, bacon, lettuce and tomato you’ll see it on almost every sandwich board menu wherever you go. But this time I made it with Lightlife’s Smart Deli Veggie Turkey Slices and Smart Bacon slices. 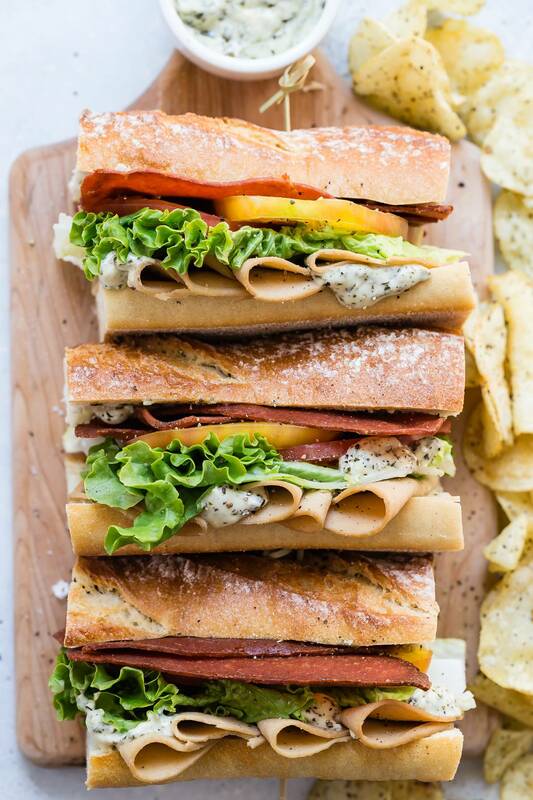 If you really love a club sandwich, I guarantee you’ll love this vegetarian version too! Why? Because it’s still packed with just as much flavor as a regular club sandwich but infinetely more healthy. Smart Deli Turkey Slices are made from soy and added natural smoke flavor, so you still get that taste you know from a good club sandwich. And what’s a club sandwich without bacon? Probably not a club so don’t skimp on the Smart Bacon which is vegan and has zero saturated fat, the exact opposite from traditional bacon right? 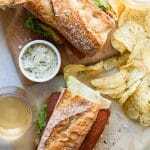 Adding some ready-made pesto to some Veganaise makes the perfect spread and keeps the crusty french baguette nice and moist. I cut these in 6-inch pieces but this would be a great sandwich for a summer picnic, just cut them smaller for individual servings. Here’s to meatless summer picnics and glasses of chilled Rosé. This is a sponsored post on behalf of Lightlife. All thoughts and opinions are always my own! Who doesn't love a good club sandwich? Check out this vegetarian version with Lightlife Smart Deli Meat and Bacon! 1 large french baguette cut into three equal sizes and sliced in half. Cook until the bacon starts to bubble around the edges and then turn over and cook for another 3-4 minutes. Set aside. 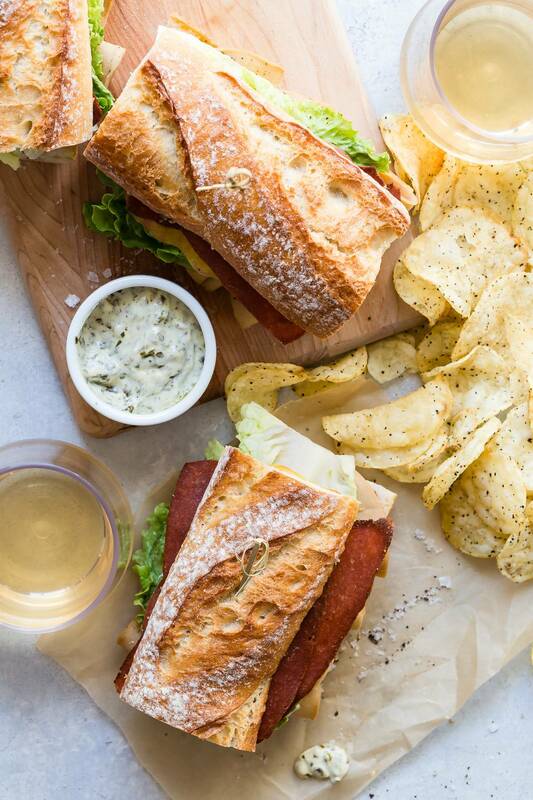 Lay the bottom part of each sandwich on your cutting board. Mix the mayonnaise with pesto and spread on each slice of the baguette. Love that pesto spread, this is the perfect summer sandwich!